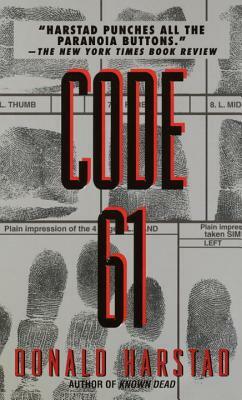 CODE 61: maintain radio silence. someone may be listening. The prime suspect, Dan Peale, is a sinister presence within the group--a man some say drinks blood and never, ever dies. It’s an outlandish, heinous theory, but then suspicions are bolstered by rumors of a card-carrying vampire hunter who is also pursuing Peale. All too soon, Houseman finds himself scrambling to track a vampire--before he kills again. Donald Harstad is a 26-year veteran of the Clayton County Sheriff's Department in northeastern Iowa, and the author of the acclaimed novels Eleven Days and Known Dead. A former deputy sheriff, he lives with his wife, Mary, in Elkader, Iowa.